Effective email communication is important in portraying a professional appearance of a company. If you are looking for email solutions that are easy to use, robust, and reliable, Mambo Microsystems Ltd offers secure emails that you can use your domain name to send out communications to your clients. 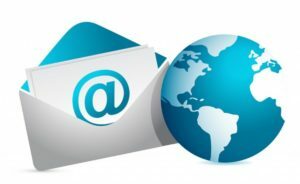 If you want to buy company emails, then you are at the right place. Our emails are easy to set up and manage. You will get a simple step-by-step guideline for set-up. You will also be able to use the control panel to manage your email policies, mailbox quota and more. When you buy company emails from Mambo Microsystems Ltd, you are guaranteed of the best experience. We have powerful features that you can get from no other desktop email clients. You will have the freedom to control all your emails without unnecessary hitches. At Mambo Microsystems Ltd, we are committed to ensuring that our clients’ privacy remains a priority. We respect your data and will not violate any agreement between us. When you buy company emails from us, there are no undercut deals, meaning we will not send or display any ads on your emails. Furthermore, we will not scan your email communications for keywords. You are assured of 100% security of your data when you work with us. Before we contacted Mambo Microsystems Ltd, we had issues with our mail service provider. We no longer receive complaints from our staff and users about important emails going to Spam box. Your services are excellent so far. Keep it up!